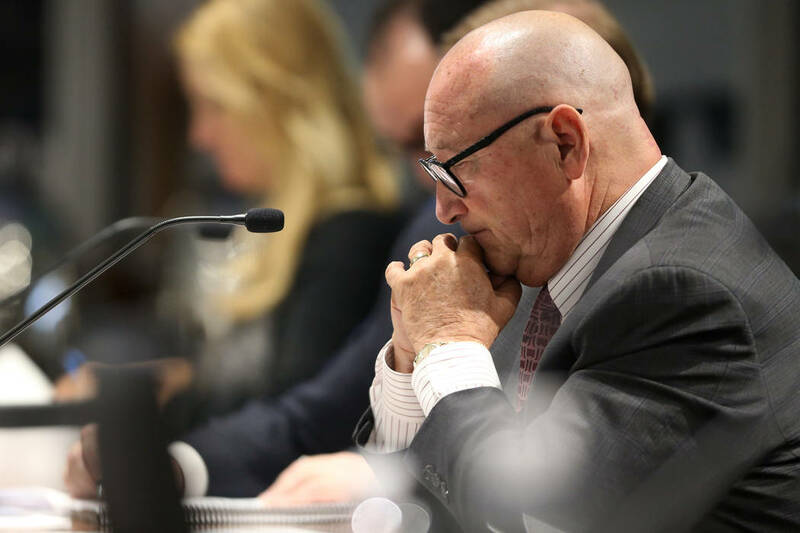 For months, Rossi Ralenkotter’s excuses about his mismanagement of Las Vegas Convention and Visitors Authority resources have looked suspicious. Now the Review-Journal’s investigative team has caught the LVCVA’s ex-CEO in an outright falsehood. In May, Ralenkotter’s attorney started to discuss a retirement package with the LVCVA. He requested a whopping $1.2 million in payouts, according to documents obtained by a Review-Journal records request. Ralenkotter sought a year’s pay, a $233,333 bonus for 2017, a $180,000 consulting contract and $234,741 in unused paid time off. That last detail directly contradicts what Ralenkotter told the public in August. “I never expected to be compensated for my accrued paid time off,” he said in a written statement. Except that he did, as the newly revealed email from his own attorney shows. His dishonesty is noteworthy. It should lead the board to examine what else he lied to them and the public about, especially since the board just gave him a $455,000 severance package. That includes a $270,000 consulting contract but no money for unused PTO. It’s odd that Ralenkotter agreed to walk away from a $234,000 payday. Retirees automatically get unused PTO cashouts. He had a legal claim to that money, unlike the other types of compensation he was seeking. The evidence is suggestive. Just days after his attorney requested the $1.2 million payout, the Review-Journal’s investigative team asked for information on Ralenkotter’s PTO. Normally, reporters rely on a government official’s schedule to determine when they took time off. The problem is that there’s not an independent way to verify if someone was actually working. That wasn’t the case with Ralenkotter. He booked dozens of personal trips with Southwest gift cards paid for by the agency. The Review-Journal’s investigative team cross-referenced the dates of those trips with Ralenkotter’s calendar. That analysis showed that he had been out of the office on personal travel for nearly 200 hours without taking PTO. He also had around 100 hours labeled as “Rossi PTO” or for obviously personal events where he didn’t take PTO. It’s fraudulent to go on vacation without taking PTO and then try and cash out the PTO you should have used to cover the time you were out of the office. Ralenkotter owes the Review-Journal’s investigative team a thank-you card. If they hadn’t been so proactive in pursuing this story, he likely would have cashed out all his PTO, including the 300 hours or so he didn’t deserve. Now the Las Vegas Metropolitan Police Department can only investigate him for attempted fraud, which it should add to its ongoing gift card investigation.